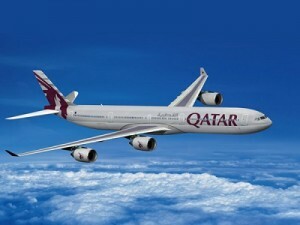 Qatar Airways will now operate 20 flights per week to and from Riyadh, increasing its services by more than 40%. Passengers travelling into and out of Saudi Arabia will benefit from greater connectivity to the airline’s extensive network of more than 150 destinations via its state-of-the-art hub at Hamad International Airport in Doha. and with the recent increase to four daily services to Jeddah will operate a total of 143 flights a week. Qatar Airways Senior Vice President Commercial GCC, Levant, Iran, Iraq, Yemen, Africa, Mr. Ehab Amin said: “Increasing our capacity to Riyadh, on top of our recently announced frequency increases to Jeddah and Medina, reflects the importance of Saudi Arabia to Qatar Airways. We are proud to serve eight destinations in the Kingdom of Saudi Arabia and to sponsor Saudi Premier League winners, Al-Ahli Saudi Arabia FC.